He’s also said: “Success in business is no longer just about the bottom line; we have to look beyond profit to measure our success.” Yes, yes, yes. Below, we’ve showcased five of Richard’s Branson’s quotes (sourced directly from his Virgin blog), adding our own thoughts. We hope the quotes serve to inspire and motivate you! Quite often when products are made ethically, they may cost more to produce and deliver. Although this may seem like a negative, you can easily turn it into a positive, simply by explaining why the investment is a bit higher. If it’s because a farmer receives a greater cut of the profits, then ethical shoppers will happily pay more. If you’re tempted to go down the path of looking for the cheapest and fastest way to create your offerings, this could lead to misery for humans and animals alike. So stick to your guns. Stay ethical and continue to do things the amazing way. If you’re reading this article, chances are you’re already an entrepreneur or an ‘Ethipreneur‘ as we like to call our Ethically Creative tribe! 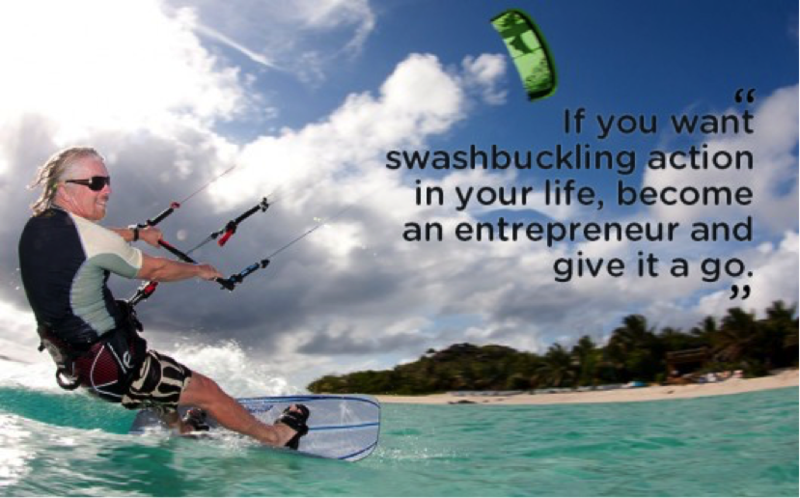 “Swashbuckling action” is a great way to describe the adventure of ethipreneurs. We not only experience the highs of offering our amazing products and services to the world, we experience our most exhilarating highs by actually changing the world. For us, we feel an indescribable joy knowing that every design we create changes someone’s (or an animal’s) life for the better. 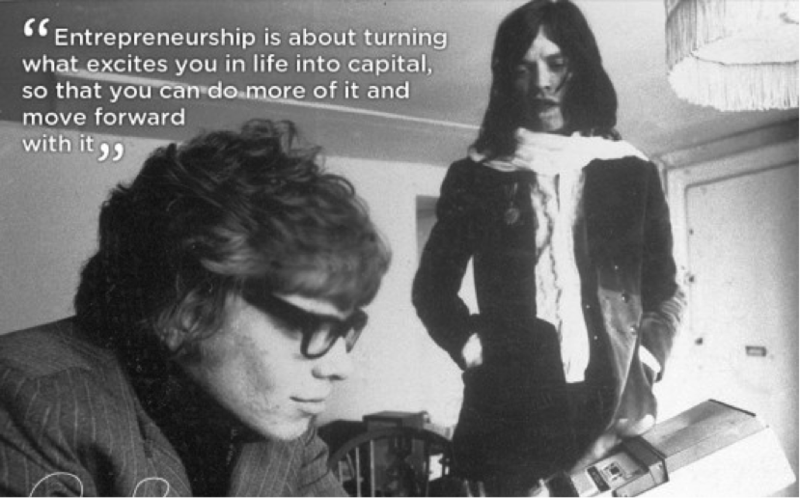 Yes, being an entrepreneur rocks! There’s a saying, “Perfectionism feeds procrastination”. We totally agree. If you wait for everything to be perfect before starting your business or launching a new product or service, you might never do it. You’ll permanently plan, but you’ll never actually ‘do’. The upside of this ‘plan not do’ strategy is that you’ll never fail. The downside is that you’ll also never succeed. Children don’t enter the world knowing how to walk. They crawl first and as they take their first tentative steps, they fall many times. As adults, there’s absolutely no shame in making mistakes. Our suggestion is to plan carefully and methodically, but not obsessively. When you feel adequately prepared (as opposed to perfectly prepared! ), start your journey. Have you ever looked at another business owner and thought, “They’re just lucky. Everything goes their way. They’re just so successful”. Maybe you even think that about Richard Branson?! A little bit of envy is natural, but don’t get caught up in it – the pity party will hold you back. Don’t believe the myth that others are lucky and you’re not. We make our own luck through hard work and persistence. 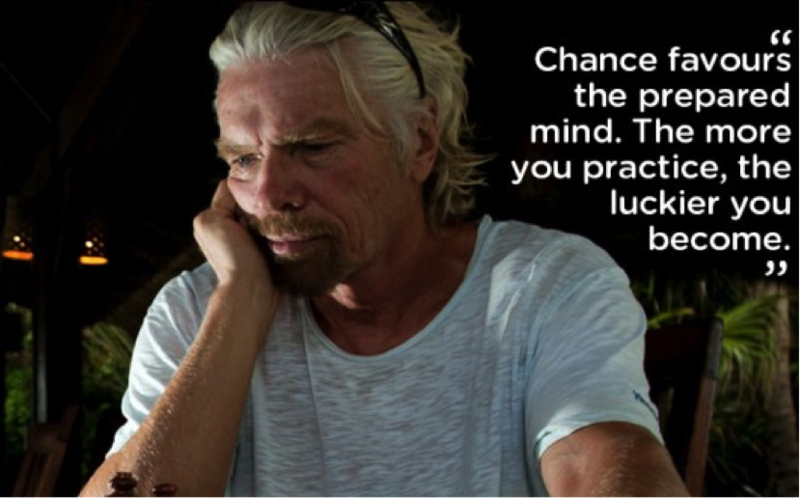 And as Richard Branson says, “The more you practice, the luckier you become”. When you feel excited by what you do, you are more likely to excel at it, and persist through thick and thin. The ethipreneurs We’re fortunate to work with are passionate about what they do, which makes working with them an absolute delight. Running your own ethical business is an amazing journey filled with ups and downs. 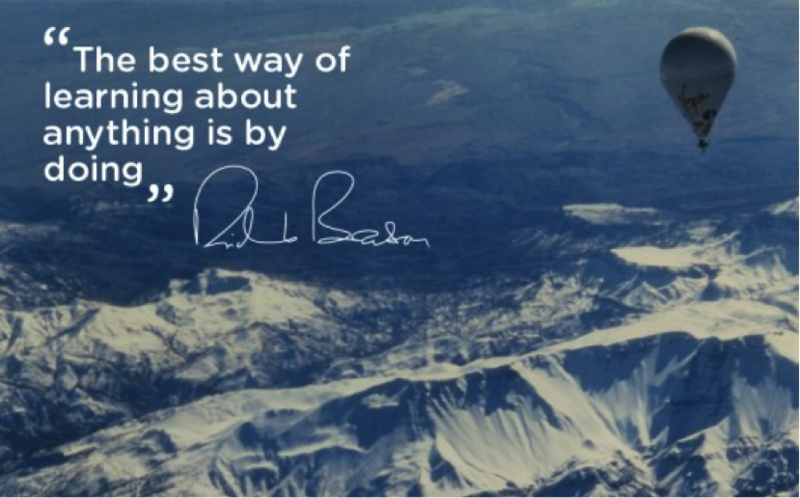 If you ever need motivation or inspiration, return to these Richard Branson quotes. You’ll be firing on all cylinders before you know it! 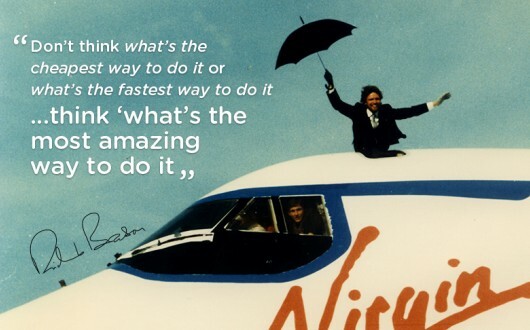 What’s your favourite Richard Branson quote? Or do you have another quote you’d like to share?